Hi! 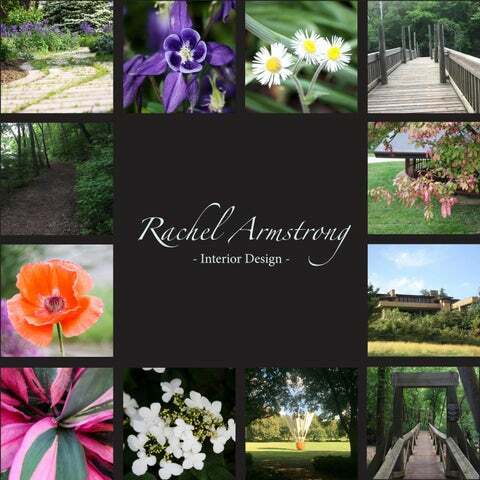 My name is Rachel Armstrong and I am in the CIDA accredited Interior Design program at Iowa State University. I became interested in design and construction when I was young, while my dad was building our house, I followed him around observing the building process. As I make my way through college, I am learning that there is a tremendous amount of detail in the design of a building. I have grown as a designer, gaining a new appreciation for multiple artforms and the practice of them. Another fun fact about me is that my biggest passion currently is bringing biophilia into the interiors. I have been working to expand my knowledge of horticulture and its benefits. The NEXT Office Space will break down â&#x20AC;&#x153;Burolandschaftâ&#x20AC;?, or the office landscape by using a combination of urban elements and natural environments. Inspired by their ever changing state; the space will blend technology and biophilia, the innate tendancy to love living things. This blending will develop the hygge of the space. Elements such as lavender and copper will be key for maintaining urbanism while invoking the health benefits of biophilia. Vida del Sol complements and enhances its tropical surroundings. Uniting individual and common spaces to create a luxurious, tranquil environment that reenergizes and employing advanced technology will support the dynamic and active community. Using complimentary color, texture, scale, and materials will achieve this balance. The Sanofi Pharmaceutical Company in Seoul embraces the continued essence of the Sanofi brand. This will be achieved by focusing on the companyâ&#x20AC;&#x2122;s roots while grounding itself with the local culture. The office space will blend clean, linear elements with biophilic features. Splashes of color such as white, purple and green will be key to maintaining the essence of the Sanofi aesthetic while re-invoking and grounding the company background. For this retail project the goal was to design a flagship store for an existing online store, Brass. This store will feel welcoming, and be an exciting experience that will encourage people to visit our flagship storefront. The concept was to combine beauty and purpose in a timeless fashion. To evoked the classic nature of the product, we utilized rose-gold metallics, black and white marble finishes, and high contrast simple forms. Strategic displays using a variety of female body types shows the ease of access to professional and everyday attire. 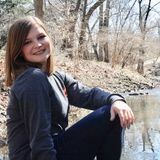 Profile I am a small town girl who loves nature, a desire to achieve LEED certification, and GREEN Buiding status and incorporate these skills into my designs has always been a part of my passion for Interior Design. Recently this love of nature has manifested into a passion for biophilia, the innate tendancy to love all living things. This includes expanding my knowledge about horticulture and incorporating that into the interior environment where appropriate. Ames, IA, August 2016-August 2018; Destination Iowa State Team Leader; Guide new students to college life. Here is a selection of the work I have done up until this point at Iowa State University.